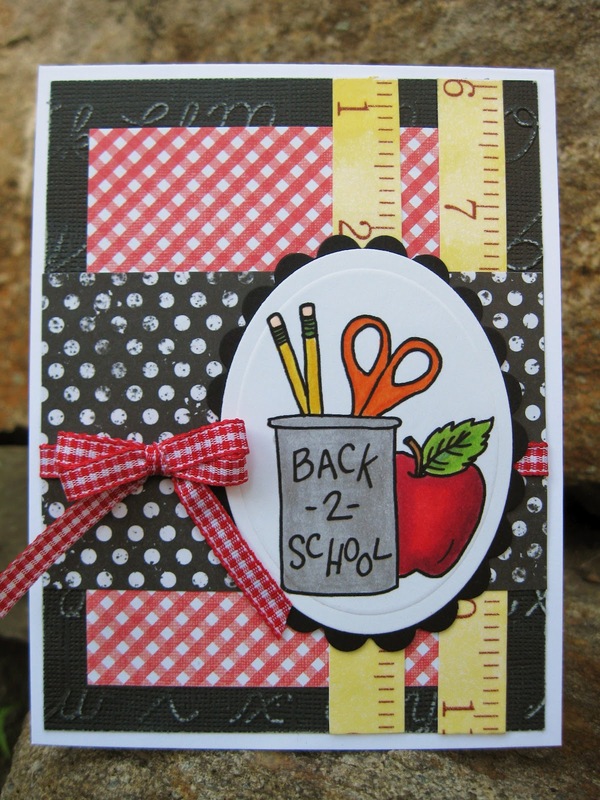 Your card is perfect for back to school, Janice! Love the colors and the washi tape! I'll be with all the other retired teachers waving to the school buses as they go by on Monday! LOL! So Adorable Miss Janice!! Love the Fabulous dp's and fun washi tape too! Just a Super Back to School card! Very pretty Janice. Love the pack-to-school theme. Great images and fun colors. Such a FUN Back to school design! I love the classic colors and your take on this sketch! Perfect Janice! TFS!